Have you thought about a career as a wildlife viewing guide or working in lodge-based hospitality? 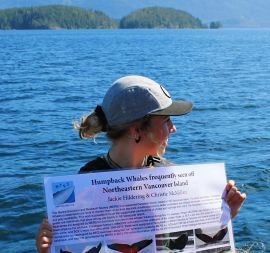 Our staff come with a variety of previous experience but we all share a deep passion for working with people, for the Broughton Archipelago and for the amazing wildlife that surrounds us. We offer positions in guiding and lodge operations in housekeeping, guest relations and in our kitchen. Our season runs from the end of May until mid October with our peak season being mid July to mid October. We are very fortunate in that most of our amazing staff returns from year to year but we always have a few staff who feel the call of adventure and head off to another part of the planet for new discoveries. If you're passionate about people, wildlife and wild places and are interested in the idea of working with us don't hesitate to drop us a line. We typically do our hiring in January and February for the following season. Our lodge operations staff must all possess FoodSafe and Serving It Right certification. 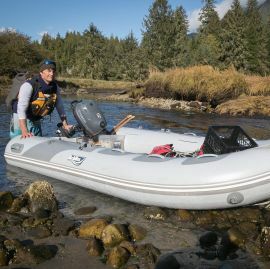 We also work closely with a variety of post secondary institutions who offer comprehensive guide and outdoor leadership training programs including North Island College on Vancouver Island.